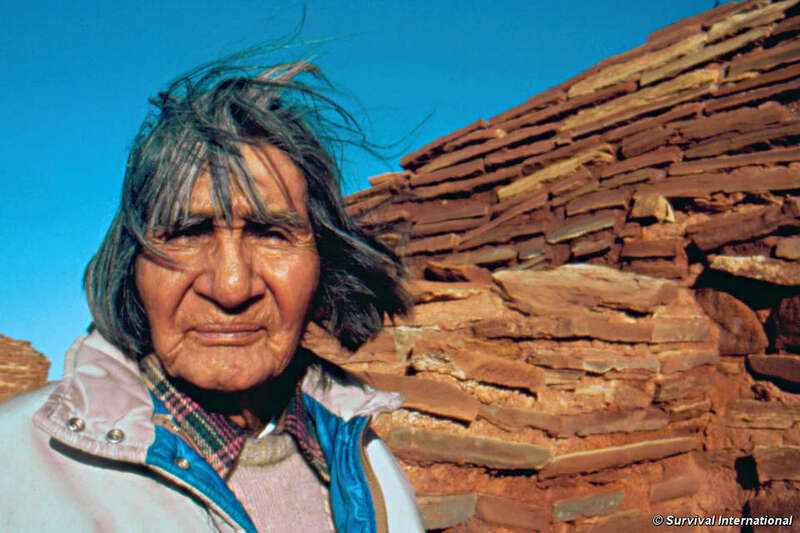 Hopi elder James Kootshongsie, who died in 1996. The Hopi are 'vehemently opposed' to the sale of the tribe's sacred objects in a Paris auction house. 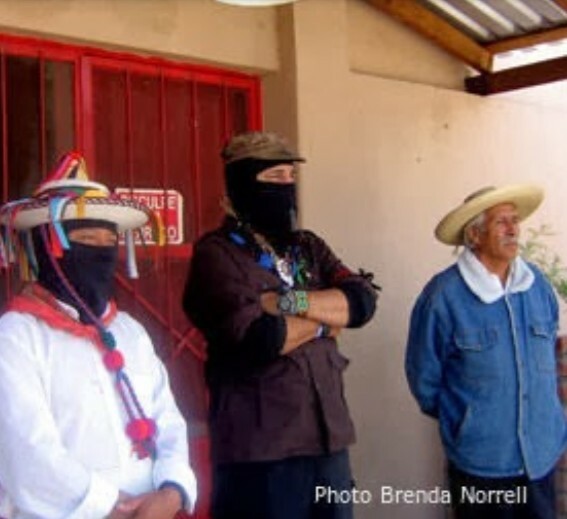 The Hopi tribe of Arizona had previously written to the auction house Neret-Minet Tessier & Sarrou, asking them to cancel the sale on the grounds that the objects were the cultural property of the tribe, and that their public display and sale caused them grave offence. However, the auction house appears intent on proceeding with the sale. Lawyer Pierre Servan-Schreiber of the firm Skadden, Arps has today obtained permission from a Paris judge to summon the auction house to a court hearing, to take place on April 11 at 10.00am, to hear Survival’s motion for a suspension of the auction sale, pending a proper examination of the lawfulness of the collection and its sale. The Hopi tribe has said it is ‘vehemently opposed’ to the auction, and has requested that the objects are returned to them immediately. - The Hopi tribe number around 18,000, living in 12 villages in northeastern Arizona. They call their homeland Hopituskwa. The following was posted by the director of the Museum of Northern Arizona in Flagstaff, AZ. "...the proposed sale of these katsina friends, and the international exposure of them, is causing outrage, sadness, and stress among members of the affected tribes. For them katsina friends are living beings; that is why they are called “friends” (kwatsi) in the Hopi language. The friends are loved, cared for, and ceremonially fed. They are a connection between the human world and the spirits of all living things and the ancestors. To be displayed disembodied in your catalogue and on the internet is sacrilegious and offensive. If one claims to value these katsina friends as “works of art,” one must also respect the people who made them and the native traditions that govern their use. And, as fellow human beings, it is my hope that you will offer understanding and empathy to the tribal people who are so deeply affected by this proposed sale. You cannot honor and value these katsina friends while dishonoring their makers. These are universal principles of cross-cultural human conduct." Je vous écris pour demander dès aujourd’hui l’annulation de cette vente ; le retrait desdits amis katsinam de toute vente présente ou future ; et surtout, que ceux-ci puissent être restitués aux peuples Hopi, Zuni, Acoma et Jemez par leur « propriétaire ». Si je mets entre guillemets ce dernier, c’est que nul ne peut être en « possession » des amis katsinam, à part les peuple Hopi, Zuni, Acoma, et Jemez dont ils proviennent. Je tiens par ailleurs à vous assurer par ma propre expérience récente et personnelle, que cette vente annoncée des amis katsinam, ainsi que leur exposition publique et internationale, est source d’outrage, tristesse et angoisse - profonds et réels - parmi les membres des tribus concernées. Pour eux, les amis katsinam sont des êtres vivants : raison pour laquelle la langue Hopi les dénomme « amis » (kwatsi). Les kwatsi sont aimés, chéris, nourris de façon rituelle. Ils incarnent le lien entre le monde humain, les esprits de tout ce qui vit, et les ancêtres. Se trouver ainsi exposés - désincarnés - dans votre catalogue et sur Internet, est une offense profonde, un sacrilège. Si les amis katsina peuvent être soignés et tenus entre mains humaines, ils appartiennent seules aux communautés dont ils sont issus, spécifiquement à leurs sociétés cérémonielles. Par coutume et par loi tribale, leur vente, donation ou dation par qui que ce soit, est proscrite.